Nanoemulsions are submicron sized emulsions that are under investigation as drug carriers for improving the delivery of therapeutic agents. These are the thermodynamically stable isotropic system in which two immiscible liquids are mixed to form a single phase by means of appropriate surfactant and cosurfactant. Nanoemulsion droplet sizes fall typically in the range of 20-200nm and shows narrow size distribution. 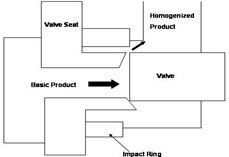 In this review attention is focused to give the brief regarding formulation aspect, method of preparation characterization techniques, evaluation parameters and various application of the nanoemulsions, several techniques are to be used for preparation of nanoemulsions like microfluidization, high pressure homogenization, low energy emulsification and solvent evaporation method and parameter that are to be used for its characterization like droplet size analysis ,viscosity determination, drug content, refractive index, pH, zeta potential, Transmission electron microscopy, thermal stability, release and in vitro skin permeation study. These are applicable in drug targeting. INTRODUCTION: Nanoemulsions can be defined as oil-in-water (o/w) emulsions with mean droplet diameters ranging from 50 to 1000 nm. Usually, the average droplet size is between 100 and 500 nm, terms sub-micron emulsion (SME) and mini-emulsion are used as synonyms. Since, the preparation of the first nanoemulsion in 1940s, it can be of three types such as oil-in-water (O/W), water-in-oil (W/O), and bi-continuous. The transformation between these three types can be achieved by varying the components of the emulsions. Each type of the nanoemulsions serves as a template for preparing polymer latex particles, nanoporous polymeric solids etc. Apart from this, the nanoemulsions with pharmaceutically accepted ingredients are utilized in the development of drug formulations for oral drug delivery. The Nanoemulsions are also referred as miniemulsions, ultrafine emulsions and submicron emulsions. Phase behavior studies have shown that the size of the droplets is governed by the surfactant phase structure (bicontinuous microemulsion or lamellar) at the inversion point induced by either temperature or composition. Studies on Nanoemulsion formation by the phase inversion temperature method have shown a relationship between minimum droplet size and complete solubilization of the oil in a microemulsion bicontinuous phase independently of whether the initial phase equilibrium is single or multiphase. Due to their small droplet size, nanoemulsions possess stability against sedimentation or creaming with Ostwald ripening forming the main mechanism of Nanoemulsion breakdown. The main application of Nanoemulsions is the preparation of nanoparticles using a polymerizable monomer as the disperse phase (the so-called miniemulsion polymerization method) where Nanoemulsion droplets act as nanoreactors. Another interesting application which is experiencing an active development is the use of Nanoemulsions as formulations, namely, for controlled drug delivery and targeting. The main application of nanoemulsions is the preparation of nanoparticles using a polymerizable monomer as the disperse phase where nanoemulsion droplets act as nanoreactors. Nanoemulsions have higher surface area and free energy that make them an effective transport system. They do not show the problems of inherent creaming, flocculation, coalescence and sedimentation. It can be formulated in variety of formulations such as foams, creams, liquids and sprays. They are non-toxic, non-irritant hence can be easily applied to skin and mucous membranes. It can be administered orally if the formulation contains surfactants which are biocompatible. It do not damage healthy human and animal cells hence are suitable for human and veterinary therapeutic purposes. It provides better uptake of oil-soluble supplements in cell cultures technology to improve growth of cultured cells and allows toxicity studies of oil-soluble drugs. It may be applied as a substitute for liposomes and vesicles and it is possible to build lamellar liquid crystalline phases around the nanoemulsion droplets 1. Due to their small size, nanoemulsions can penetrate through the “rough” skin surface and this enhances penetration of actives. It constitutes the primary step in nanocapsules and nanospheres synthesis using nano precipitation and the interfacial poly-condensation. Formulation aspect of Nanoemulsion 2, 3, 4, 5: Formulation of nanoemulsion includes active drug, additives and emulsifier which are as shown in table 1. Emulsifiers Natural lecithins from plant or animal source, phospholipids, castor oil Derivatives, polysorbates, sterylamine. Additives Lower alcohol (ethanol), propylene glycol, 1, 3-butylenes glycol, sugars such as butylenes glycol, sugars such as glucose, sucrose, fructose, and maltose. Surfactant Polysorbate20, Polysorbate80, Polyoxy 60, castor oil, Sorbitan monooleate, PEG300, Caprylic glyceride. Co-surfactant Ethanol, glycerine, PEG300, PEG400, Polyene glycol, Poloxamer. Tonicity modifiers Glycerol, Sorbitol and xylitol. pH adjusting agent Sodium hydroxide or hydrogen chloride. (1) Phase Transition from Near-Optimum State via Change in Single Variable: This method involves change in one formulation variable such as salinity or temperature for a system near optimal (HLD (hydrophilic lipophilic deviation) near 0), such as applying a higher temperature to a microemulsion. (2) Phase Transition from Near-Optimum State via Change in Multiple Variables: This method involves change in more than one formulation variable, such as applying higher temperature and inclusion of additional salt in a microemulsion. (3) Catastrophic Inversion: This method involves causing a low internal phase emulsion to invert such that the internal phase becomes the external phase. (4) Phase Transition Stabilized by Liquid Crystal Formation: This method involves stabilization of nanodroplets by liquid crystal formation from a state near HLD=0. By Brute Force: This method may involve the use of a high speed mixer, a high pressure homogenizer, a high frequency ultra-sonic device, a small pore membrane, etc. Formation of O/W and W/O nanoemulsions by dispersion or high-energy emulsification methods is apparently fairly common, while nanoemulsion formation by condensation or “low-energy” emulsification methods, take advantage of the physicochemical properties of these systems based on the phase transition that takes place during the emulsification process. It can be carried out by operating in particular areas of the phase diagram with a very low interfacial tension, which are areas of liquid crystals and microemulsions; at the end of the emulsification process, nanoemulsions formed. Properties of nanoemulsions, such as small droplet size, relative high kinetic stability and optical transparency seem to depend not only on composition variables but also on preparation variables such as emulsifying path, degree of mixing energy input and emulsification time. Techniques of preparation of nanoemulsion: Nanoemulsions have very small particle size range; they can be most effectively produced using high-pressure equipment. The most commonly used methods for producing nanoemulsions are ‘High-pressure homogenization’ and ‘Microfluidization’ used at both laboratory and industrial scale. Other methods like ‘Ultrasonification’ and ‘In-situ emulsification’ are also suitable for preparation of nanoemulsion. High-Pressure Homogenisation: The preparation of nanoemulsions requires high- pressure homo- genization. This technique makes use of high-pressure homogenizer/piston homogenizer to produce nanoemulsions of extremely low particle size (up to 1nm). The dispersion of two liquids (oily phase and aqueous phase) is achieved by forcing their mixture through a small inlet orifice at very high pressure (500 to 5000 psi), which subjects the product to intense turbulence and hydraulic shear resulting in extremely fine particles of emulsion. The particles which are formed exhibit a liquid, lipophilic core separated from the surrounding aqueous phase by a monomolecular layer of phospholipids. This technique has great efficiency, the only disadvantage being high energy consumption and increase in temperature of emulsion during processing. In 1, high pressure homogenization shows the formation of nanoemulsion 7, 8, 9. Effect of Homogenization Pressure: It is optimized the process parameter ranging from 100 to 150 bars. The higher is the size the lower is the particle size obtained e.g., RMRP 22.
of Homogenization cycles: The higher the homogenization cycles the smaller is the particle size obtained. The cycles are carried out in 3, 4 or 10 cycles. The number of cycles is analyzed by polydispersity index of drug after each cycle. Ease of scale-up and little batch-to-batch variation. Narrow size distribution of the nanoparticulate drug. Flexibility in handling the drug quality. Effectively used for thermolabile substances. Microfluidization: Microfluidization is a mixing technique, which makes use of a device called microfluidizer. This device uses a high-pressure positive displacement pump (500 to 20000psi), which forces the product through the interaction chamber, which consists of small channels called ‘microchannels’. The product flows through the microchannels on to an impingement area resulting in very fine particles of sub- micron range. The two solutions (aqueous phase and oily phase) are combined together and processed in an inline homogenizer to yield a coarse emulsion. The coarse emulsion is into a microfluidizer where it is further processed to obtain a stable nanoemulsion. The coarse emulsion is passed through the interaction chamber microfluidizer repeatedly until desired particle size is obtained. The bulk emulsion is then filtered through a filter under nitrogen to remove large droplets resulting in a uniform nanoemulsion. Preparation of homogeneous organic solution composed of oil and lipophilic surfactant in water miscible solvent and hydrophilic surfactant. The organic phase was injected in the aqueous phase under magnetic stirring the o/w emulsion was formed. The water-miscible solvent was removed by evaporation under reduced pressure. Low Energy Emulsification: This Technique is used for the preparation of o/w nanoemulsion. Take advantage of the physicochemical properties of these systems based on the phase transition that takes place during the emulsification process 11, 12. Solvent Evaporation Technique: This technique involves preparing a solution of drug followed by its emulsification in another liquid that is non-solvent for the drug. Evaporation of the solvent leads to precipitation of the drug. Crystal growth and particle aggregation can be controlled by creating high shear forces using a high-speed stirrer 13. Characterization and evaluation of nanoemulsion: Different characterization parameters for nanoemulsion include transmission electron microscopy, nanoemulsion droplet size analysis, viscosity determination, refractive index, in vitro skin 2, permeation studies, skin irritation test, in vivo efficacy study, thermodynamic stability studies, and surface characteristics. The surface charge of the nanoemulsion droplets has a marked effect on the stability of the emulsion system and the droplet in vivo disposition and nanoemulsion droplets were in the size range of 25-40 nm with some particle aggregates in the size range of 100-150 nm 2. Nanoemulsion Droplet Size Analysis: Droplet size distribution is one of the important physicochemical characteristics of a nano-emulsion, was measured by a diffusion method using a light-scattering particle size analyzer Coulter LS 230. It measures the size distribution using the diffusion of laser light by particles. Polarization intensity differential scattering (PIDS) is the assembly consists of an incandescent light source and polarizing filters, a PIDS sample cell and an additional seven photodiode detectors. It is used to measure the droplets size distribution, like 0.5 ml emulsion was introduced in the measure compartment (125 ml of water). The results were presented as the volume distribution. Many other techniques that have been developed to measure droplet size of nanoemulsions, two are of interest in this article in which laser light scattering (LLS) and energy filtering transmission electron microscopy (EFTEM) .The small droplet size gives them inherent stability against creaming, sedimentation, flocculation and coalescence. It also allows the effective transport of active ingredients to the skin 9, 13, 14. Polydispersity Index: The average diameters and polydispersity index of samples were measured by photon correlation spectroscopy. The measurements were performed at 25oC using a He–Ne laser. Viscosity Determination: The viscosity of the formulations was determined as such without dilution using a Brookfield DV III ultra V6.0 RV cone and plate rheometer using spindle 13, 14. Refractive Index: The refractive index, n, of a medium is defined as the ration f the speed, c, of a wave such as light or sound in a reference medium to the phase speed, vp, of the wave in the medium. It was determined using an Abbes type refractrometer (Nirmal International) at 25 ± 0.5°C. pH: The apparent pH of the formulation was measured by pH meter 13, 14. Transmission Electron Microscopy (TEM): Morphology and structure of the nanoemulsion were studied using transmission electron microscopy. Combination of bright field imaging at increasing magnification and of diffraction modes was used to reveal the form and size of nanoemulsion droplets. Observations was performed as, a drop of the nanoemulsion was directly deposited on the holey film grid and observed after drying. Drug Content: Drug content was determined by reverse phase HPLC method using C18 column 15. Zeta Potential: Zeta potential is a technique which is used to measure the surface charge properties and further the long term physical stability of nanoemulsions, the instrument which is used to measure the surface charge is known as ZetaPALS .The measurements were carried out with diluted nanoemulsion formulations 16 and its values were determined from the electrophoretic mobility of the oil droplets. The minimum zeta potential of ±20mv is desirable. Percentage transmittance: Percentage transmittance of the prepared nanoemulsion formulations was determined spectrophotometrically using UV-vis spectrophotometer 17. In Vitro Skin Permeation Studies: In vitro skin permeation studies were performed by using Keshary Chien-diffusion cell. It was performed on abdominal skins and was obtained from male rats weighing 250±10 gm with a recirculating water bath and 12 diffusion cells. The skins were placed between the donor and the receiver chambers of vertical diffusion cells. The receiver chambers were filled with freshly water containing 20% ethanol. The receiver chambers were set at 37oC and the solution in the receiver chambers was stirred continuously at 300 rpm. The formulations were placed in the donor chamber. At 2, 4, 6, 8 h, 0.5 ml of the solution in the receiver chamber was removed for GC analysis and replaced immediately with an equal volume of fresh solution 18. Each sample was performed three times. The cumulative corrections were made to obtain the total amounts of drugs permeated at each time interval .The cumulative amounts of drug permeated through rat skins were plotted as a function of time. The permeation rates of drug at a steady-state through rat skins were calculated from the slope of linear portion of the cumulative amount permeated through the rat skins per unit area versus time plot. Thermodynamic Stability Studies: During the thermodynamic stability of drug loaded Nanoemulsions following stress tests as reported 19. Heating cooling cycle: Nanoemulsion formulations were subjected to six cycles between refrigerator temperature (4°C) and 45°C .Stable formulations were then subjected to centrifugation test. Centrifugation: Nanoemulsion formulations were centrifuged at 3500 rpm and those that did not show any phase separation were taken for the freeze thaw stress test. Freeze thaw cycle: In this the formulation were subjected to three freeze thaw cycles between 21°C and +25°C kept under standard laboratory conditions. These studies were performed for the period of 3 months. Three batches of formulations were kept at accelerated temperature of 30°C, 40°C, 50°C and 60°C at ambient humidity. The samples were withdrawn at regular intervals of 0, 1, 2 and 3 months and were analyzed for drug content by stability-indicating HPLC method. Use of nanoemulsions in cosmetics 20. Nanoemulsion as Non-Toxic Disinfectant Cleaner. Nanoemulsions in Cell Culture Technology. Nanoemulsion formulations for improved oral delivery of poorly soluble drug 21. Self-nanoemulsifying drug delivery systems 22, 23, 24. Nanoemulsions as a vehicle for transdermal delivery 25, 26. Nanoemulsion in the treatment of various other disease conditions like diclofenac cream, a potential treatment for osteoarthritis. Solid self-nanoemulsifying delivery systems as a platform technology for formulation of poorly soluble drugs. Nanoemulsion in cancer therapy and in targeted drug delivery. CONCLUSION: Nanoemulsion formulations offer several advantages for the delivery of drugs, biologicals, or diagnostic agents and able to protect labile drug, control drug release, increase drug solubility, increase bioavailability and reduce patient variability. Traditionally, Nanoemulsions have been used in clinics for more than four decades as total parenteral nutrition fluids. Nanoemulsions are chiefly seen as vehicles for administering aqueous insoluble drugs, they have more recently received increasing attention as colloidal carriers for targeted delivery of various anticancer drugs, photosensitizers, neutron capture therapy agents, or diagnostic agents. Because of their submicron size, they can be easily targeted to the tumor area. Moreover, targeting moiety has opened new avenues for targeted delivery of drugs, genes, photosensitizers, and other molecules to the tumor area. It is expected that further research and development work will be carried out in the near future for clinical realization of these targeted delivery vehicles. ACKNOWLEDGEMENT: Authors wish to acknowledge Mr. B. S. Jhankar and all those who are involved directly or indirectly for compilation of this article. Amiji MM, Tiwari SB: Nanoemulsion formulations for tumor-targeted delivery, Nanotechnology for cancer therapy 2006; 723-39. Simonnet et al. : Nanoemulsion based on ethoxylated fatty ethers or on ethoxylated fatty esters and its uses in the cosmetics, dermatological and/or ophthalmological fields 2002. Anna Coll Perdiguer , Francisco Javier Galan Dachs, Nuria Carreras, Valdivia, Nanoemulsion of the oil water type, useful as an ophthalmic vehicle and process for the preparation thereof Assignee: Laboratorios Cusi, S.A. (Barcelona, ES) 1997. Banker GS, Lieberman HA, Rieger MM: Pharmaceutical dosage forms. Disperse systems, Marcel Dekker, Edition 2, Vol. 3, 2002: 339-40,343-44. O’Hagan DT Vaccine Adjuvants. Humana Press: 214. Chen Huabing , Du Danrong , Mao Chengwen Mou Dongsheng, Wan Jiangling, Xu Huibi, Yang Xiangliang: Hydrogel-thickened nanoemulsion system for topical delivery of lipophilic drugs. International Journal of Pharmaceutics 2008; 353:272. Guglielmini G: Nanostructured novel carrier for topical application. Clin Dermatol 2008; 26:341-6. Shenoy DB, Tiwari SB: Nanoemulsion Formulations for Improved Oral Delivery of Poorly Soluble Drugs 9th Annual NSTI Nanotechnology Conference and Trade Show. North-eastern University. US 2006. Rao SV, Agrawal P, Shao J: Self-nanoemulsifying drug delivery systems (SNEDDS) for oral delivery of protein drugs II. In vitro transport study.Int J Pharm 2008; 362:10-5. Shekel F, Baboota S, Shafiq S: Nanoemulsions as vehicles for transdermal delivery of aceclofenac. AAPS Pharm Sci Tech 2007; E104.